As so many of my North American friends are posting pictures of things knee high in snow, day three of our camping adventure was hot hot hot. 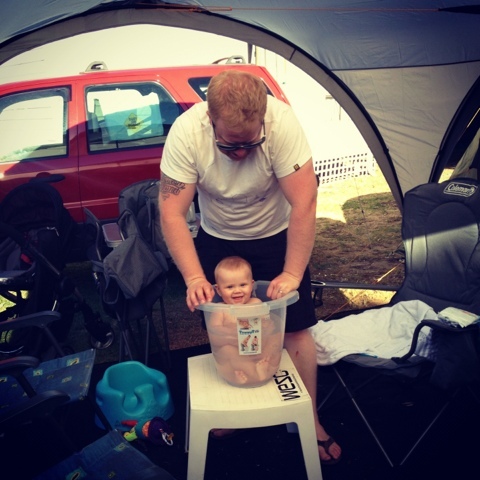 That's the downside of having a tent, you can't have a baby nap in a tent that hot, so you have to get creative. Out the front of the park in the sea breeze in the shade is a great backup plan! 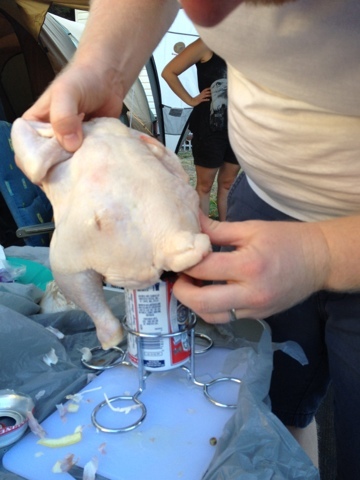 We made beer can chicken with a can of Budweiser for dinner in our little Weber Baby Q. Our essential for camping, it is awesome when you can do a roast at your own campsite! 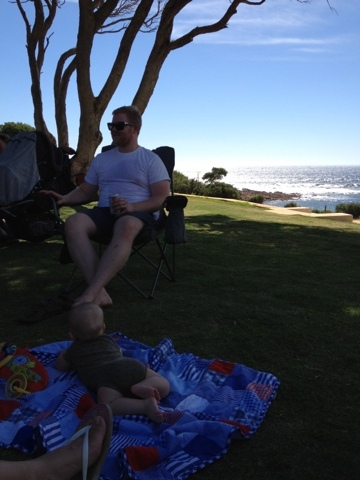 This is the life!